The Resort at Longboat Key Club is so spectacular that it requires its own bucket list. It spans 410 acres of lush lawns and powdery, pristine beachfront. Featuring 223 luxury guest rooms and suites, this Four-Diamond destination is host to eight distinctive restaurants and lounges, along with 45 holes of championship golf, award-winning tennis, the largest resort marina on Florida’s west coast, 12,000 square feet of indoor and outdoor function space, a full-service spa, and an array of water sport equipment. 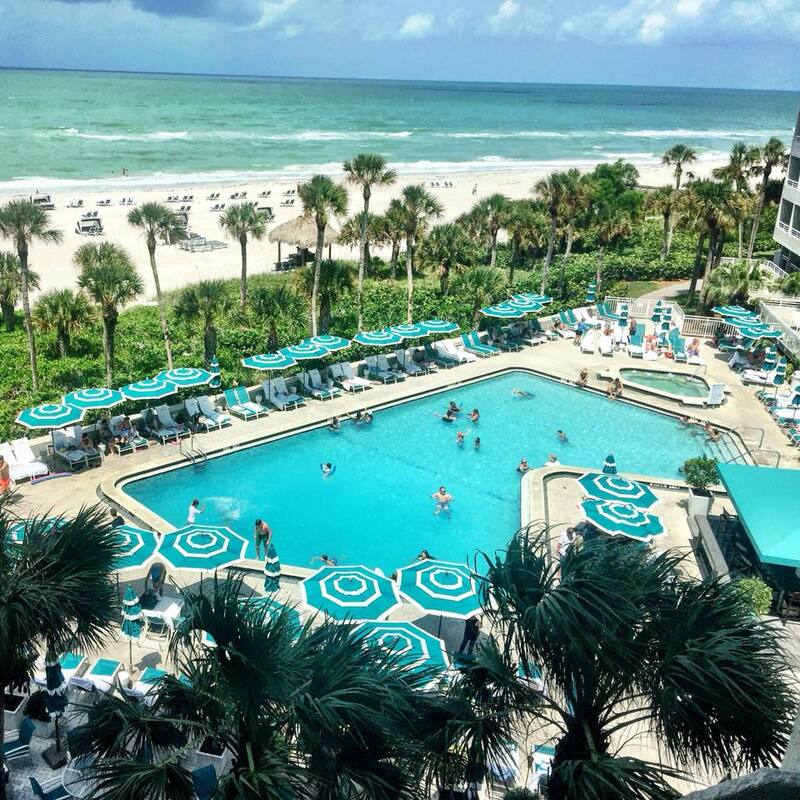 After discovering the best experiences and activities at Longboat Key Club, I put together a Longboat Key Club bucket list so you don’t miss any of the unbelievable offerings at this property. If you’re looking to cross items off your Longboat Key Club bucket list, start with the ultimate beachfront escape in one of Longboat Key Club’s luxurious beachfront guest rooms or suites. Our suite was thoughtfully outfitted with soothing color palettes and upscale amenities including 42” plasma TV, high speed Internet access, exclusive bath amenities, full kitchen, and private balcony that provided picture-perfect sunsets. 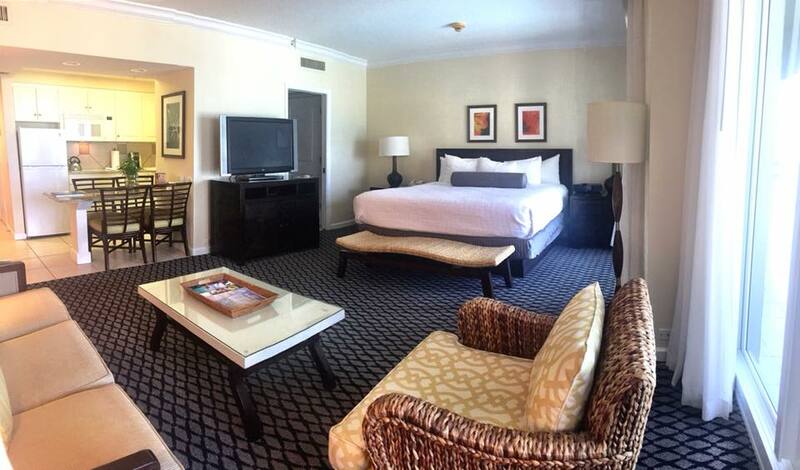 To check out another amazing property in Sarasota, visit Why Stay at Lido Beach Resort? 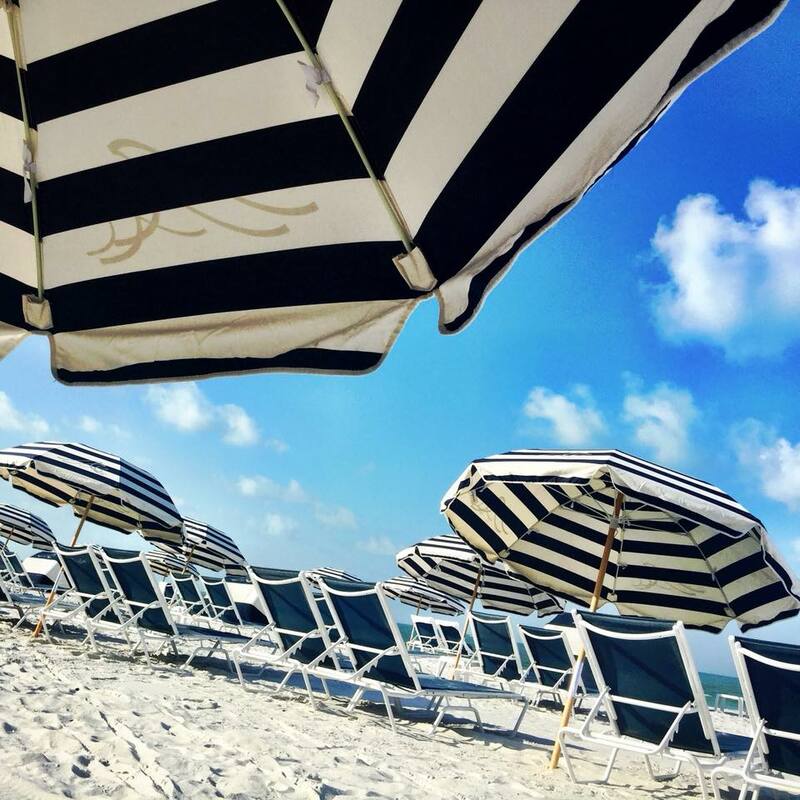 It wouldn’t be a Longboat Key Club bucket list without a visit to the beach and you don’t have far to go considering it’s right outside your suite. The pristine white sand beach is in a secluded setting on a barrier island in the Gulf of Mexico. Resort water sport rentals include kayaks and paddle boards and there are plenty of chairs, loungers, cabanas, and umbrellas to cover all of your beach-going needs. There are food and beverage services from Barefoot’s Bar and Grille and fun games like volleyball and bean bag toss located right on the beach. Longboat Key Club’s beautiful swimming pool is pure paradise and only steps from the turquoise ocean waters. Enjoy a refreshing swim any time of year in the temperature controlled pool or simply lounge under the shade of an umbrella. When you need a little refreshment after practicing your pool handstands, Barefoot’s Bar and Grille is overlooking the pool. Just ask Jo to make you something good and he’ll quickly craft one of his special cocktails just for you. Discover an island-inspired sanctuary on your Longboat Key Club bucket list with a visit to the spa. They boast ten tranquil treatment rooms and two relaxation rooms along with island-inspired treatments designed to soothe and nourish your body. While all the treatments at the spa are rejuvenating, I’d suggest The Signature Facial for the ultimate Longboat Key Club bucket list spa experience. It uses a fusion of science and nature and is perfect for any skin. They utilize the latest in natural and anti-aging technologies for increased firmness, elasticity, and fullness to nourish and hydrate skin. 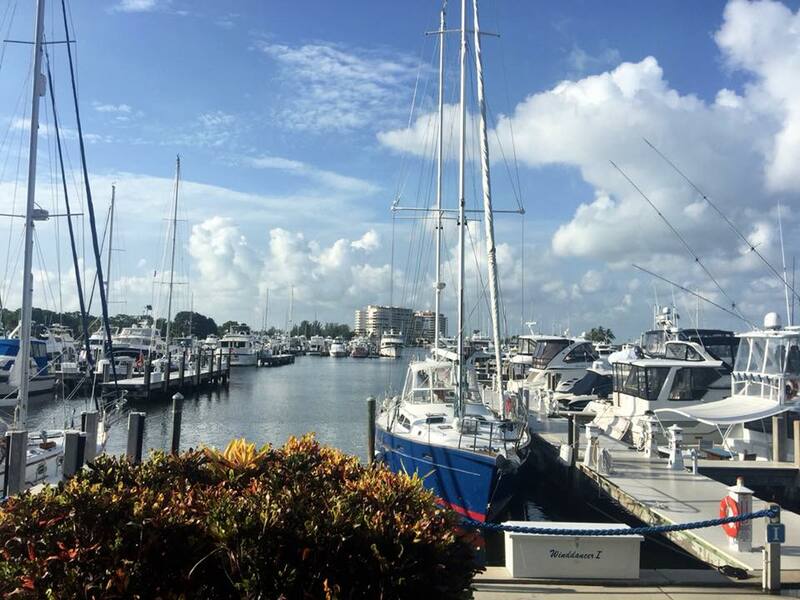 Longboat Key Club invites you to dock your boat at the largest resort marina on the west coast of Florida. Longboat Key Club Moorings is a full-service, deep-water marina with 291 storm-protected slips that can accommodate up to 150-foot vessels, a 24-hour manned guard gate, fuel dock with pump-out services, and exceptional amenities from slip electricity and cable television to showers and saunas. The marina is also home to Portofino Ristorante & Bar, an elegant Northern Italian restaurant with spectacular harbor views. Dining at Longboat Key Club is an experience unto itself. The resort showcases eight exceptional restaurants and lounges that highlight fresh ingredients and authentic Gulf Coast hospitality. From farm-to-table dishes to grilled sandwiches on the beach to candlelit dinners at the marina, you’ll enjoy delectable dining at Longboat Key Club. At the top of your Longboat Key Club bucket list for dining should be Portofino Ristorante & Bar. 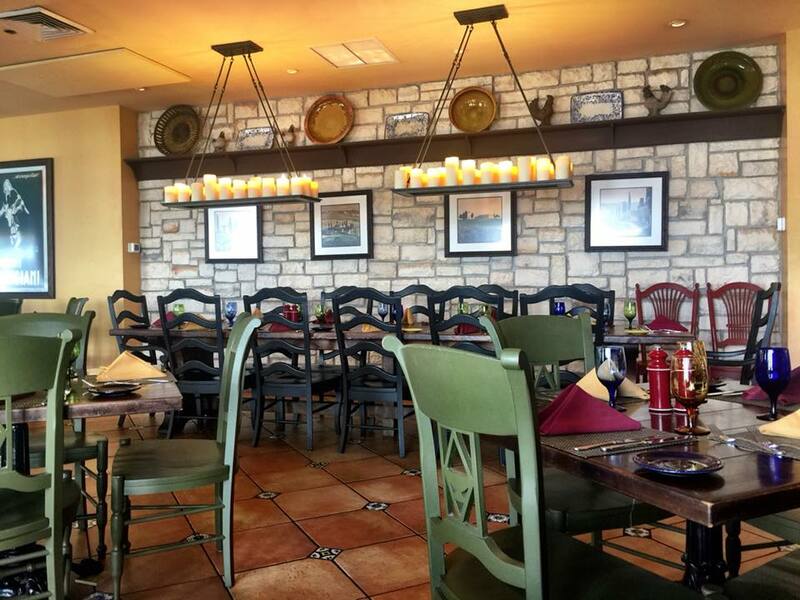 They specialize in classic Northern Italian cuisine and offer the freshest seafood along with handmade pastas and wood-fired, brick-oven pizzas. 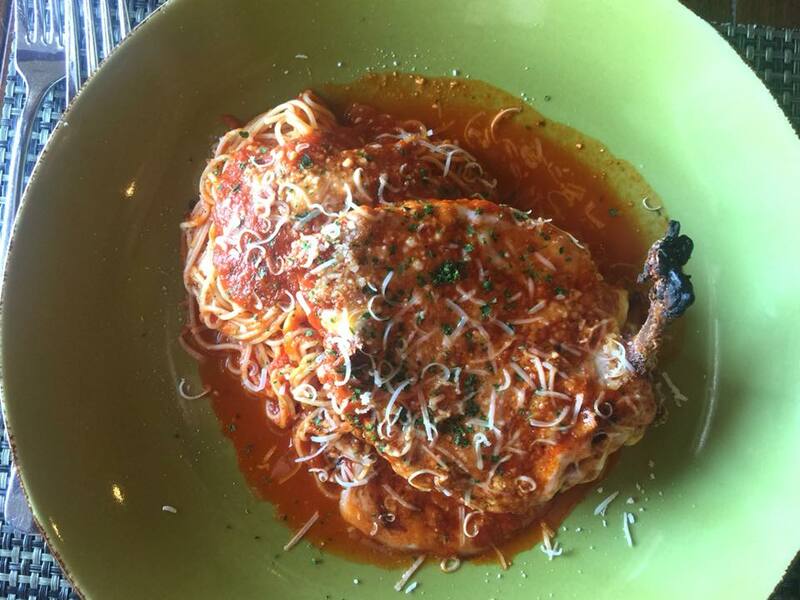 They have daily specials and I opted for their Chicken Parmesan. Be warned… the serving are generous and the ingredients are fresh. I’d suggest taking some back to your suite to satisfy your late-night cravings while saving room for one of their scrumptious desserts. Longboat Key Club bucket list tip – on Thursday and Saturday nights, stop by Portofino’s L’Ancora Lounge to enjoy live music and signature cocktails. Test your skills on 45 challenging holes including the tree-lined Harbourside Golf Course that runs along Sarasota Bay and Links of Longboat Course that borders the Gulf of Mexico. 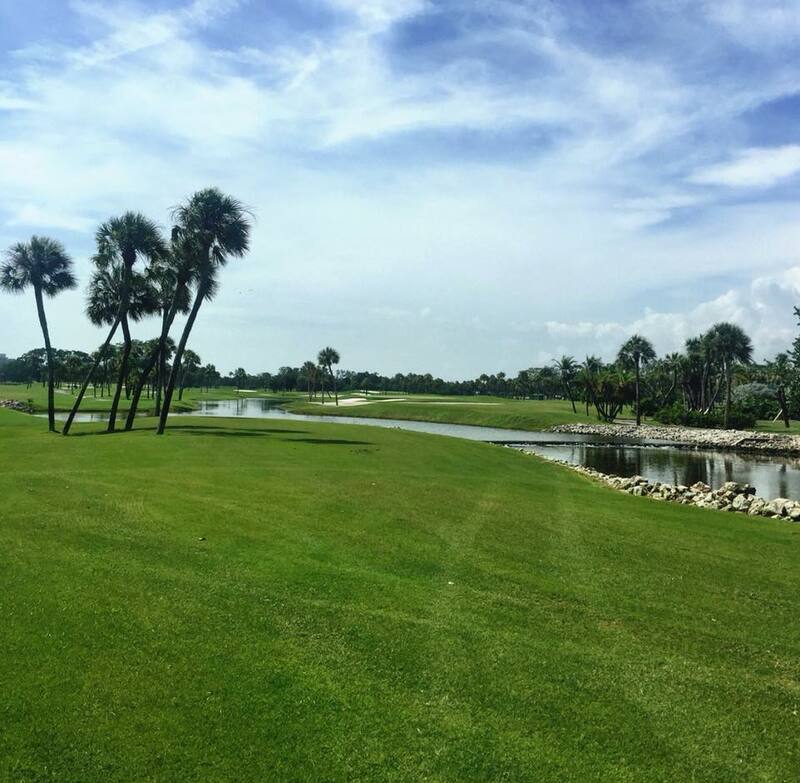 If you haven’t already conquered the greens, you can improve your game with personalized instruction from The Resort at Longboat Key Club’s PGA-certified professionals. Looking for a golf partner, just hang out at Barefoot’s Bar and Grille and I’m sure you’ll run into a local member always anxious to tee off. 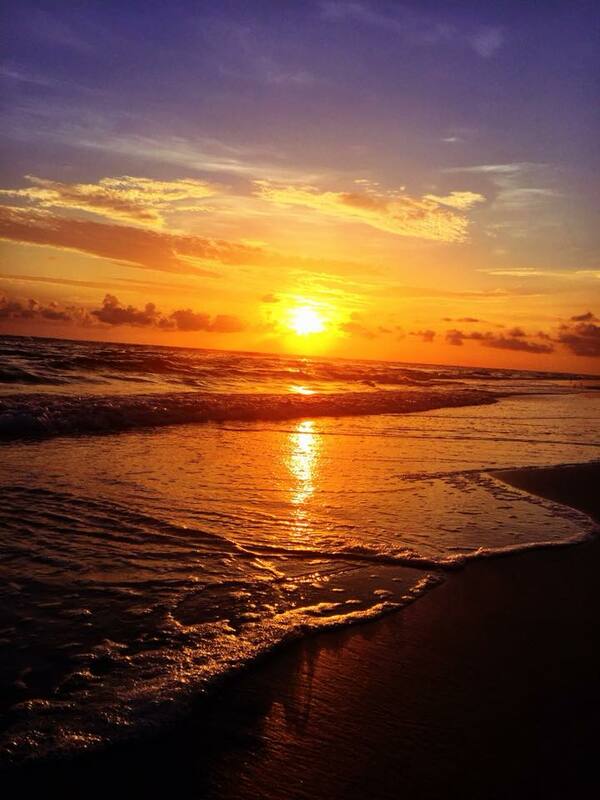 To cap off your Longboat Key Club Bucket List you need to experience a sunset on the beach. Can’t you already feel the sun on your face and the soft, powdery, white sand on your feet as you stroll along the beach to this view? 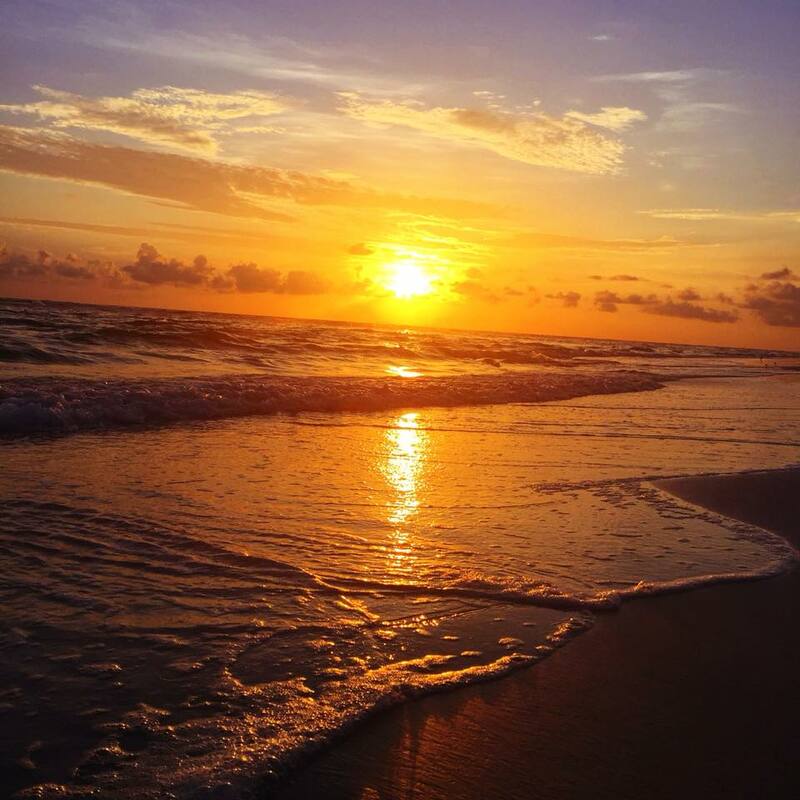 Why Stay at Lido Beach Resort?